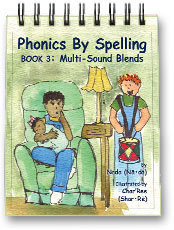 This book helps children blend 2 conosant sounds to create words (such as BR in the word, brick). Each page includes 2 or 3 pictures that demonstrate the sounds plus words for practice. Most effective when taught in chant form.